Faizal’s presentations are engaging, simple and articulate the value of Windows Azure / SharePoint to consumers, developers, architects and entrepreneurs. He frequently speaks at premier technology events and consistently gets a high feedback rating. Should I wait for SP 2013 or move on with SP 2010? How do I justify for SP 2013's investment? With great improvements in features and usability, the SP product team now says that the web/intranet team can focus more on engaging with users needs rather than vendors' implementation. So what role do we play in SP 2013, and what role do vendors play? What does it mean for migration from earlier versions of SharePoint? This session provides a “Sneak Peek” of SharePoint 2013 IT Pro / Developer perspective. The session is designed to help the audience to understand the changes architectural changes have occurred, storage considerations, browser support, social media supports, workflows and ect… This is a must attend session for leading edge SharePoint IT Pro/Developer looking to jump start their 2013 experience curve. When people come in the door here these days, they say, 'Hey, how do I connect with people? Do you have a social network? Social networking and collaboration are converging in many ways, During this session I would list talk about Enterprise Social Network on SharePoint and Share List of 3rd party products around this. Visual Studio LightSwitch is the simplest way to build business applications for the desktop and cloud. LightSwitch simplifies the development process by letting you concentrate on the business logic, while LightSwitch handles the common tasks for you. The SharePoint security model can be confusing, with its deep hierarchy of securable objects, granular permissions and policies, and clunky user and group management interfaces. This session demystifies SharePoint security by dissecting each of these components and presenting best practices for implementing and managing security. Learn when and why it makes sense to leverage Active Directory groups or use SharePoint groups, and take away options for new permission levels and settings that address common business requirements. Topic : Explore and Implement: Permissions, Identities, and Objects for SharePoint 2010 environment. What are the key business and technical issues/factors that impact a company’s “cloud readiness”? What are the key cloud-usage scenarios (Transferring existing applications and data to Azure; Integrating / synchronizing Azure and in-house resources; Writing new applications to the cloud and managing them). 1st Intake: 4-5th October 2010 at NCS P Ltd.
2nd Intake: 3-4th March 2011 at NCS P Ltd.
3rd Intake: 14-15th April 2011 at NCS P Ltd.
4th Intake: 14-15th July 2011 at NCS P Ltd. In this course, you will learn the concept of cloud computing and the implementation in Microsoft Windows Azure Service Platform including Windows Azure, SQL Azure, and AppFabric. Date 18th December 2010 at Microsoft Singapore. Lap Around Windows Azure Hands on Lab which help user to develop and upload project to Windows Azure Platform. 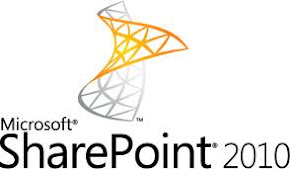 This session you learn about SharePoint 2010 Enterprise Content Management offerings. In this session you will learn about how to change SharePoint site style and design?. We will review the topic related to branding as it relates to SharePoint as well as dive into the use of themes, master pages, page layouts and CSS to create a more good look and feel for SharePoint. We will also discuss the entire branding process from the creation of the design to the deployment. SharePoint Intranet Mass briefing was greater exposer to me first time I face 750 audiences and presented the intranet portal and demonstrated the live system demo. The overall response of the presentation response given below.